Thank you for your interest in Stonefield Development. If you have lost your home to fire, you have our deepest condolences. 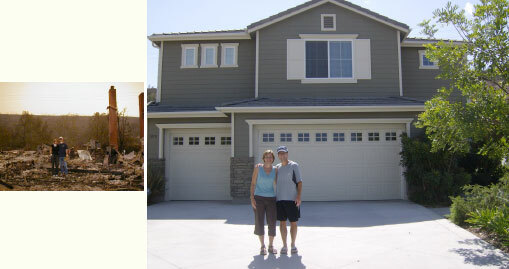 We are honored to have helped hundreds of fire survivors rebuild their homes. The first step in our action plan for Paradise, California is to assess homeowner interest. If you would like to know more about Stonefield’s group rebuild program, please submit your information below so that we can contact you. One major component that makes rebuilding different is insurance. Click here for a list of insurance companies that we have experience working with since 2003. The Stonefield fire rebuild programs are designed for you and your neighborhood that reduces costs, expedites construction, and simplifies the process. We have insurance experts available and other helpful resources. Feel free to reach out to us and we will help you get back into your home. Stonefield has been credited with the nation’s largest rebuilding effort in one community after a major disaster. As a leading regional high-end custom home builder Stonefield rebuilt 81 homes in Scripps Ranch (San Diego) after 2003 Cedar Fire. Subsequently two more Southern California group rebuilds were organized after the 2007 Witch Creek Fire and 2008 Freeway Complex Fire. Recently, Stonefield experts have teamed up with Northern California trades to assist nearly 100 homeowners for group rebuilds after the Tubbs Fire in Santa Rosa, marking our fourth group rebuilding effort. Our extensive experience with fire survivors, insurance companies, architects, subcontractors and building departments make us a knowledgeable, solution-oriented build your can trust having been in business for over 32 years.